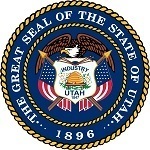 Utah knife laws are broad and there is a lot to explain about the statutes. To make the laws easy to understand, this article may help you a lot. We are providing you the best explanations of the statutes. Utah emphasizes the “dangerous weapons” the most. It is illegal to carry, own or possess any knife when that knife is considered as the dangerous one for some restricted people. But if someone can prove that he or she has the legal permit to own or carry that particular knife even though it is a dangerous weapon, this may not be illegal or banned. There is a complete section about the restricted people in Utah’s knife laws. Otherwise, there is no knife that is illegal to own, possess, manufacture, carry both openly or concealed by the regular people. Knives that are hidden under stuff like a pen, cane, lipstick or belt buckles etc. are legal. Any knife can be considered as a dangerous weapon according to the law because it depends on the approach you make. The definition says that a dangerous weapon can be any kind of object or instrument which is used or made to use as well as intended to use to cause any serious bodily injury or even death. So, a dangerous weapon can be anything including a regular pocket knife. As there is no blade size mentioned in the definition for the dangerous weapon, knives with any blade length can be threatening to the people if it is used as a dangerous one. On a parole for any felony and some others who are mentioned in the section 76-10-503. It is a third-degree felony if a category I person owns, possesses, carries or purchases any dangerous weapon. Convicted or undercharge for a felony. Not the citizen of the United States or who are illegally living in the State. Dishonorably discharged from the State’s armed forces. A person who has rejected the citizenship even after being a citizen of the United States. It is considered a class A misdemeanor of a category II person if he or she possesses, owns, carries or purchases any of the dangerous weapons. It is legal for anyone to own, possess, carry, manufacture, purchase or buy, transport any knife including the dangerous ones unless he or she is included the restricted people. Tips* But it is better to not to possess or carry such weapon or knife which claims you as a guilty. It depends on your approach or expression. If you try to harm anybody with your instrument or knife even it does not have any deadly component, you will be arrested immediately. Try to prove yourself as you are carrying or possessing the knife for any legal purposes. Avoid concealing knives in the trunk or under the car’s seat which can make you suspicious to the officer. It is illegal to possess or carry any kind of dangerous weapon on the school premises. It is a class B misdemeanor if anyone violates the law. Though who are authorized by the school administration to possess or carry these dangerous weapons, this section is not applicable for them. This section mentions those individuals also. There is no law for the minors and also no particular blade lengths for the knives in Utah. Only the dangerous weapon and the restricted people are the important factors here. Otherwise, you are free to own or possess and carry any knives unless you are on the restricted list.